Guess wHo’s back? Everyone’s favorite Hoover Street native is returning with his first single since July of 2016, the release of Blank Face LP. 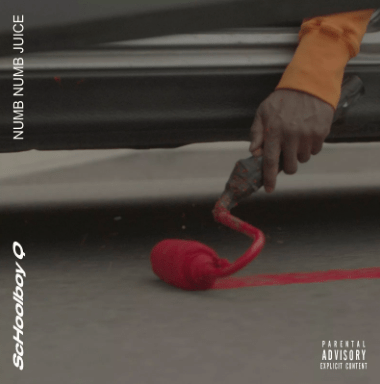 Q explodes onto the song, with just his grimy and aggressive delivery, with the beat coming on a couple of seconds as if stunned by Q’s sudden arrival. The chorus is infectious, “Two-door coupe, hoppin’ out like Jack-in-the-Box, ***** / I’m gon’ shoot if this 30’s all that I got, **** / Y’all on mute, ain’t no back-talk on my block, ***** / Numb numb juice to the head, f*** up the opps, *****” and it reminds us that Q is back and he’s more aggressive than ever. Unfortunately, the song gets a bit repetitive as a majority of the song is taken by the chorus, and doesn’t even crack two minutes. Many fans have theorized that there will be an updated version of the song on the album with a feature. The visual for the song followed not long after, with a small cameo from Tyler, the Creator. While the track isn’t spectacular, it is a great taster of what is to come in Quincy’s fifth studio album. It’s been three years since his last album, and fans everywhere are eagerly awaiting his next LP.